These glazed fired cat urns are truly one-of-a-kind. All of these urns, made of white stoneware, are high fired in a electric kiln for special effects. Made in Maine by highly skilled potters, each urn is individually crafted and no two are exactly the same. As these are oversized, there is no worry about room. 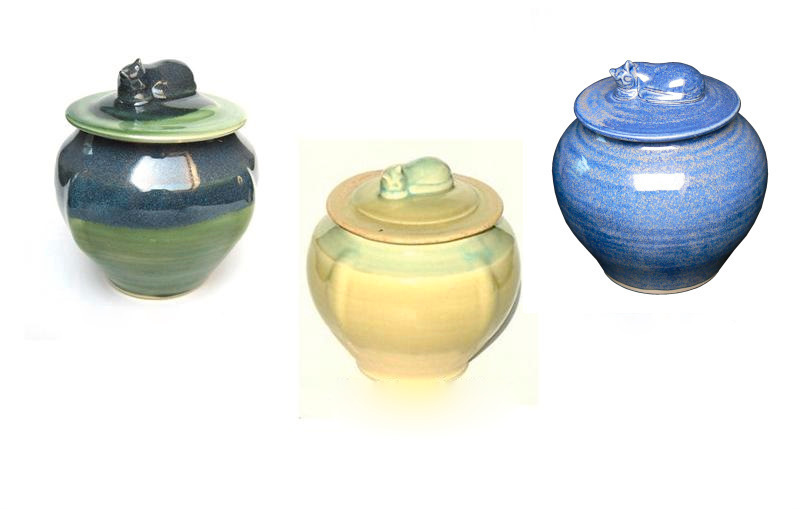 *Due to the nature of production of these urns, there will be slight variations in colors to urns as pictured.